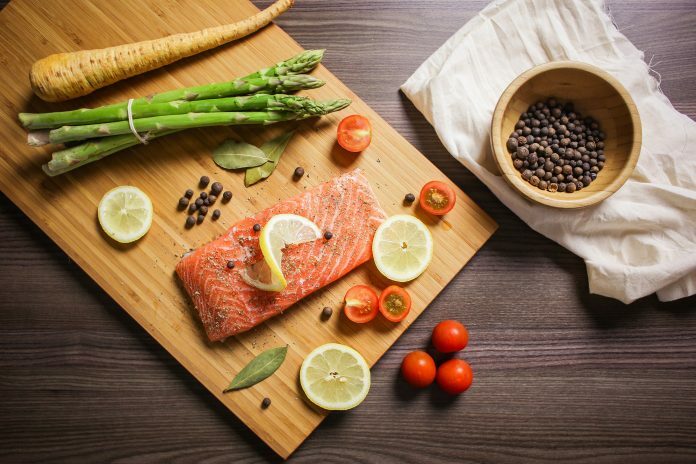 This baked Salmon recipe is easy to make and tastes delicious. 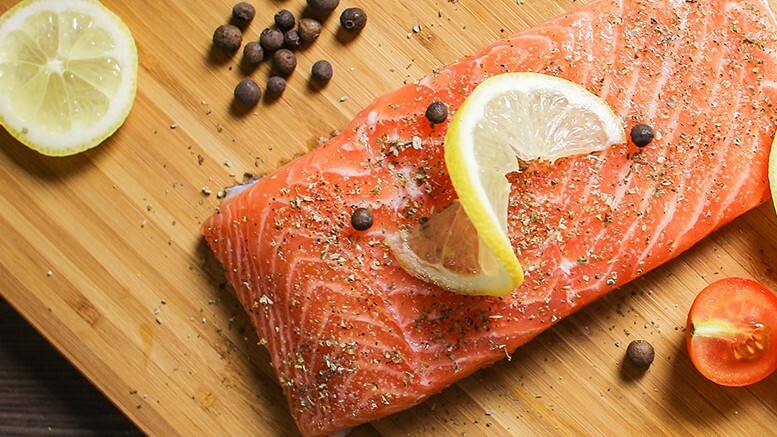 Baked Salmon may not originate from Ireland but it is considered a traditional Irish recipe. Fish has been important part of peoples diet in Ireland for thousands of years. Its no surprise a Salmon is mentioned in the story of Fionn Mac Cuhmaill (Fionn McCool) in Irish mythology. Its important the Salmon is freshly caught, cleaned and scaled. Use a roasting tin which is large enough for the whole salmon, lined with foil and with some of the butter grease some of the foil to avoid the salmon sticking as it cooks. Melting some of the butter moisten the salmon with a few teaspoons full as well as squeezing the lemon over the top of the whole fish. Cooking times depend on the size or weight of the fish, but a rough guide would be 10 minutes per lb. or around 20 minutes per kg. It is important that you baste the salmon occasionally with the juices to keep it moist. Melt remaining butter in a small saucepan. Taking the salmon from the oven, take off the skin and place on a plate. Drizzle the melted butter over the top of the salmon, season with salt and pepper and add some parsley on the side of the plate for some garnish. Delicious with some creamy mash potato or baby boils. Irish butter is renowned for its richer, creamier texture making it one of the best types of butter in the world. Therefore, we highly recommend that you use Irish butter while trying our recipes. Kerrygold is one of the best brands of Irish butter that you can buy online from here. Dont forget to try our Irish smoked fish soup or even Mussels in cream and Garlic sauce. Last updated February 18, 2018.